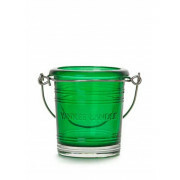 In vibrant green, this bucket style votive holder from Yankee Candle will look great in any home. 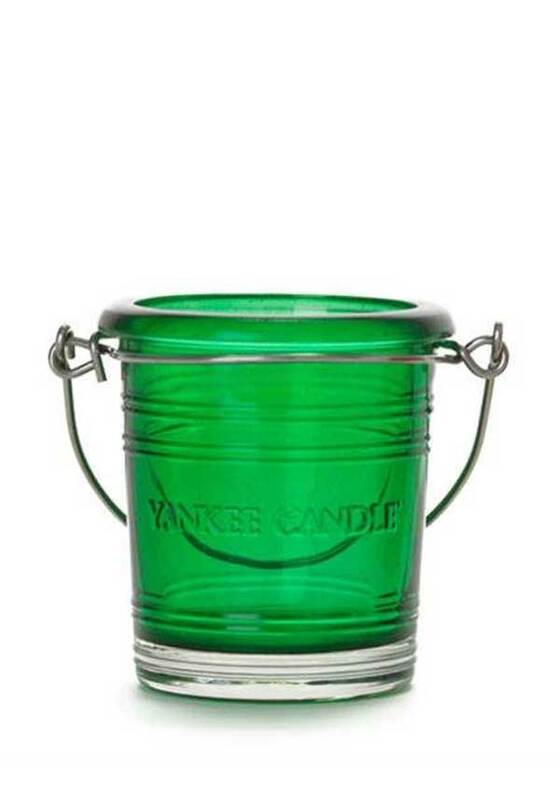 With a sturdy metal handle for easy transportation, or even to hang your candle up, this glass holder has an embossed Yankee Candle Logo to the front. Use anywhere in the home or in the garden.